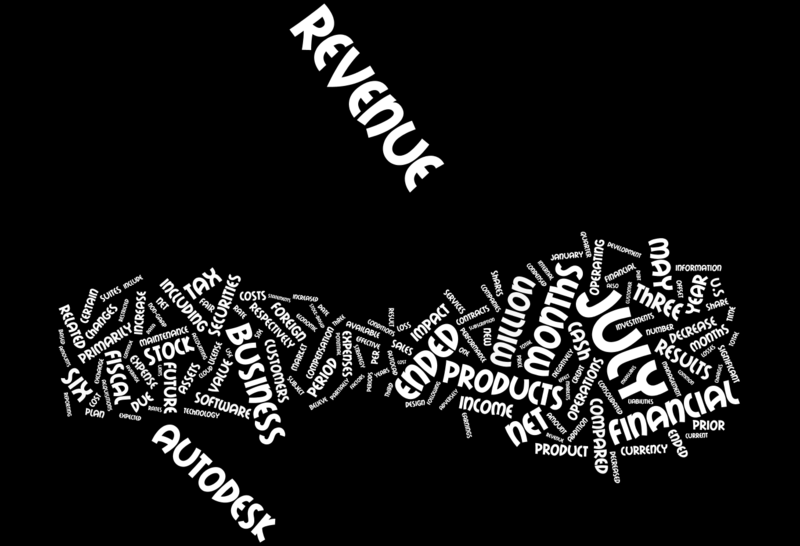 During the six months ended July 31, 2013, net revenue for M&E Animation decreased 10% primarily due to a 12% decrease in revenue from our flagship product, 3Ds Max, a 19% decrease in revenue from our M&E suites, which was driven by our Autodesk Entertainment Creation Suite and a 9% decrease in revenue from flagship product, Maya. Flagship—Autodesk flagship products are our core design products. Flagship includes the following products: 3ds Max, AutoCAD, AutoCAD LT, AutoCAD vertical products (such as AutoCAD Architecture and AutoCAD Mechanical), Civil 3D, Maya, Plant 3D, Inventor products (standalone) and Revit products (standalone). New and Adjacent—Autodesk new and adjacent products include Autodesk’s new product offerings as well as products that are not included in flagship or suites. New and adjacent includes the following services and products: Autodesk Alias Design products, Autodesk Consulting, Autodesk Buzzsaw, Autodesk Constructware, Autodesk consumer products, Autodesk Creative Finishing products, Autodesk Moldflow products, Autodesk Navisworks, Autodesk Simulation, Autodesk Vault products and all other products.